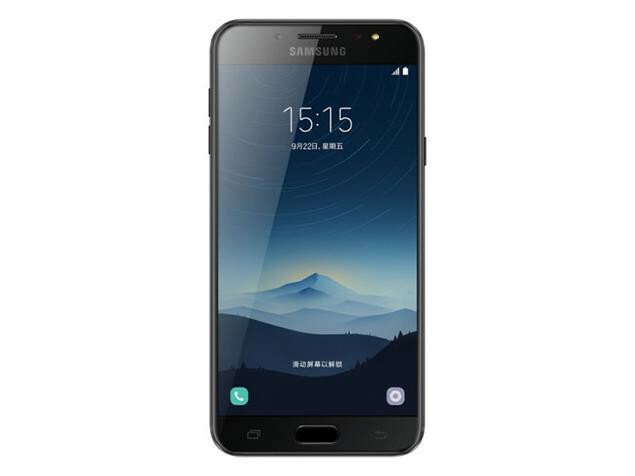 Serie: The Samsung Galaxy A3 2017 is a handset for those after a compact phone, one on an affordable contract, or a device that can be bought SIM-free. Most of Samsung’s phones of previous years were plastic, even the fairly expensive devices. The Samsung Galaxy A3 demonstrates just how far the company has moved on from that style. This device is composed of glass and metal, with barely any plastic on show at all. The front and back glass are big-brand Gorilla Glass 4, and the rear features curved edges for a softer feel. Beneath the screen is a reliable fingerprint scanner couched between the two soft keys, just as in Samsung’s larger phones. Also included is a headphone jack. In addition, the Galaxy A3 is water resistant. Its IP68 certification means that an accidental drop in water is unlikely to cause damage. As is the case with the majority of new handsets, the Samsung Galaxy A3 has a USB Type-C charging port rather than micro-USB. The phone has just 16 GB of storage, which is a little disappointing since the device offers only 9.8 GB of available internal memory and 481 MB of RAM without installing any apps. However, there is a slot for a single microSD card in the tray. The Samsung Galaxy A3 has an unusual speaker placement. Rather than sitting on the bottom of the device, it can be found on the side, above the power button. Speaker quality is fine, with enough volume to cut through some ambient noise. For display, the Samsung Galaxy A3 2017 features a 4.7-inch Super AMOLED panel with punchy colors that can be calibrated to suit the user’s taste. For those who like a super-vivid look, it’s there. If a more relaxed colour is desired, it's possible to just switch to the "Basic" mode in Settings to achieve this. The Samsung Galaxy A3 has a 13 MP rear camera with a f/1.9 lens. However, the camera lacks optical image stabilization. Around the front sits an 8 MP selfie camera. It's capable of producing decent images in good light. The phone uses an Exynos 7870, a CPU with eight Cortex-A53 cores clocked at up to 1.6 GHz, and a Mali-T830 GPU. Samsung also includes masses of pre-installed apps, which aren't entirely welcome since the Samsung Galaxy A3’s storage is limited. There's the Microsoft Apps suite, including Word and OneNote. S Health is probably the most interesting of Samsung’s own apps. This is now a full fitness and 'wellness’ platform, allowing the user to simply track steps, but also log user’s food and GPS-track hikes, cycles and walks as well. There's only a small increase in battery capacity from 2,300 to 2,350 mAh. 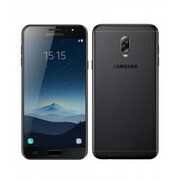 The 2,350 mAh battery is well suited to the Samsung Galaxy A3’s small screen, and when used in a way that exploits this, the Galaxy A3 lasts for some time. The 2017 Galaxy A3 is a low-end smartphone with all the necessary features of a high-end device. Hence, the slightly higher price tag is justified. 0.18 kg: Dieses Gewicht ist typisch für Smartphones.